WE NEED YOUR HELP! 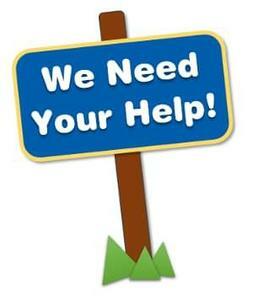 Temple ISD Libraries are in need of used materials to cut up for an upcoming project. Temple ISD Libraries are in need of used materials to cut up for an upcoming project. Ex: Laundered t-shirts -- especially old, ready for the donation / rag pile shirts, towels, or sheets. Students will create toys for pets by braiding or tying together a bunch of rag strips. TISD will be donating the completed projects to the local animal shelters. Please share and gather as much as you can. Donation deadline is February 8th. Donations can be dropped off at the Raye-Allen library. Thank you in advance!